Austen Morris Associates participated in The Giving Tree program which was held on Tuesday, November 14 at 12:30 PM at the Green Peace Primary School in the Shanghai area. This is the sixth year that AMA’s Managing Senior Partner, James Colclough, and Founding Senior Partner, Greg Morris, have led the program internally along with the marketing and events team. We believe it’s a program that makes a difference in the lives of children today as well as teaching values of education, generosity and a positive outlook for the future. The Giving Tree Program is organised by the Community Centre Shanghai alongside Home Sweet Home who organised the ‘filling of the Gift Bags’ on behalf of the AMA & AMA Friends and Family. Home Sweet Home also benefitted by receiving a contribution per bag filled. This year we were joined by James’ wife Coco and their daughter Jasmine for the special Giving Tree ceremony at the school along with the Head of Recruitment Anu Aggarwal, Head of Client services Kelly Olver and Tamara from the AMA marketing department. A very special thank you to all of the AMA Shanghai staff who donated including; Anu, Kelly, Hulan, AMA admin and to Simon in our SA office. To those in the community who joined our efforts in donating one or more bags including 35 personal friends of James and Coco Colclough we ‘Thank You’ from the bottom of our hearts. On Thursday the 18th of May, Austen Morris Associates hosted a Private Client dinner at CAPO Rock Bund restaurant in Shanghai. The event was held in association with our long-term partner, Hansard International. The event gave us the chance to relax and enjoy an evening of great food and fine wines with new and existing clients and to say ‘thank you for your loyalty’. Our guests included clients old and new, from all walks of life, with a broad range of nationalities and professions being represented. A true example of the diverse client base Austen Morris Associates has grown over the past 22 years in the industry. 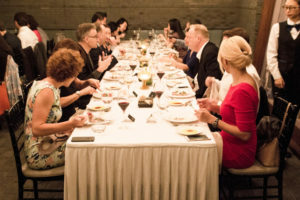 The venue, CAPO Rock Bund, did not disappoint, from the Champagne terrace, through to the exquisite private dining room, where expertly paired wine with a 5 course meal was enjoyed by all. Food, wine and service were exceptional, culminating in a perfectly cooked tender roast beef, carved table side by the executive Chef Gian Marco Russo. Austen Morris Associates Senior Partner Jon Holand, Partner Matthew Riddington and Senior Consultant Darryl Viojan hosted the event, which was a perfect balance of an informative and social evening. A special thank you to Simon Murray of Hansard International who flew in from Hong Kong to join us for the event. 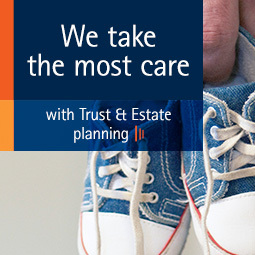 Austen Morris Associates is a globally respected and successful International Financial Planning and Wealth Management Company founded in 1994 with offices located throughout Asia and South Africa. The MSCI Pacific Index was up 1.3% in the week ended 20 May 2016. Japan’s TOPIX rose 1.8%. Sentiment was boosted by the release of better-than-expected GDP data, which showed that the Japanese economy had grown 0.4% in the first three months of the year— reversing a 0.4% contraction in the fourth quarter of 2015. A weaker yen was also positive for Japanese exporters, as the currency was weighed down by further speculation around policy easing from the Bank of Japan. Hong Kong’s Hang Seng rose 0.7%, shrugging off weaker economic data releases from mainland China. Worries over US interest rates also weighed on returns, but sentiment was boosted by strong demand from mainland institutions via the Shanghai-Hong Kong stock connect exchange link. The spike in Chinese demand coincided with a visit from a senior Chinese government official. Elsewhere, Singapore’s Straits Times gained 1.1%, while Australia’s All Ordinaries was 0.4% higher, as merger news in the oil sector helped outweigh further volatility in commodity prices. US stocks delivered mixed returns in the week to 20 May, as sentiment was dominated by speculation over an earlier-than expected interest rate rise from the Federal Reserve (Fed). The S&P 500 and NASDAQ rose 0.3% and 1.1% respectively, while the Dow Jones Industrial Average slipped 0.2%. Investor focus in the week was on the minutes of the Fed’s April policy meeting—released on Wednesday—which made it clear that a June rise was a possibility. The minutes stated that a summer increase would be “appropriate” if economic data and the labour market continue to strengthen and inflation moves towards the central bank’s 2% target. The minutes were reinforced by hawkish comments from several Fed officials, including William Dudley, president of the New York Fed. The minutes came following solid economic data releases. US industrial production rose 0.7% in April, ahead of analysts’ forecasts, boosted by an increase in utilities production. Inflation also picked up. Consumer prices rose 0.4% in April, marking the biggest gain since February 2013 and bringing the annual rate of headline inflation to 1.1%. Core consumer prices—which exclude food and energy—rose 0.2%, bringing the annual rate down to 2.1% from 2.2%. The housing and labour markets also continued to strengthen. Housing starts rose a stronger-than-expected 6.6% in April, while existing home sales rose 1.7%. Homebuilder confidence held steady in May, with a rise in expectations for future sales. Meanwhile, new claims for unemployment benefits declined 16,000 to 278,000 in the week ending 14 May. Energy stocks were among the strongest performers in the week, boosted by a sharp rise in oil prices. Brent crude climbed close to the USD 50-a-barrel mark, hitting a six-month high, amid recent unexpected supply disruptions and sustained demand. Elsewhere, Apple shares rose strongly following news that Warren Buffett had bought a USD 1 billion stake in the iPhone maker. With the possibility of a summer rate rise now firmly back on the cards, investors will pay close attention to any comments from US policymakers over the coming weeks. In a quiet week on regional markets, the MSCI Europe crept 0.4% higher. France’s CAC 40 rose 0.8%, while the Spanish IBEX gained 0.6%, Italy’s FTSE MIB returned 0.5% and the UK’s FTSE 100 was up 0.3%. The German DAX lagged, dropping 0.4%, after index heavyweight Bayer, the drugmaker and chemicals producer, launched a USD 62 billion takeover offer for US agribusiness Monsanto. Shareholder concerns about the cost of the deal, which would be partly funded by capital raising and increased debt, sent Bayer’s share price down more than 10% over the week. Financial stocks did well as markets moved to reflect the increased likelihood of another US interest rate rise before the end of the year, following the publication of the minutes of a relatively hawkish meeting of the Federal Reserve’s policy-setting board. Positive earnings boosted technology stocks, while the energy sector was lifted by higher oil prices. Brent crude moved close to the USD 50-a-barrel mark for the first time since November 2015 on supply disruptions in Nigeria and a more positive assessment of the price outlook from brokers. In the UK, sterling rallied after the latest polls pointed to a sharp decline in the probability of a Leave vote in the upcoming referendum on European Union membership. Data from the Office for National Statistics suggested the UK’s labour market is largely withstanding the uncertainty, with the unemployment rate holding steady at 5.1% in the first quarter of the year and the number of people in work rising, albeit at a slower pace than in late 2015. The European Commission (EC) said it would postpone a decision on disciplinary action against Spain and Portugal for breaking budget rules until after both the UK referendum on 23 June and the Spanish general election on 26 June. EC president Pierre Moscovici said the commission did not believe this was the right moment economically or politically to get tough on countries that have struggled with their debt burdens. Instead, Brussels said it wanted to see further efforts on the parts of both countries to reduce their borrowing and would review the situation in early July. Meanwhile, ahead of a meeting of Eurozone finance ministers on 24 May, the International Monetary Fund again warned that it would not participate in the latest Greek bailout without an agreement on extensive debt relief. The MSCI Emerging Markets Index fell 0.4% in the week ended 20 May as speculation increased that the US Federal Reserve would raise interest rates in the coming months. A sharp 4.0% decline in Brazil’s Bovespa was a major reason behind the fall in the overall index. Brazilian stocks fell as positive sentiment over the country’s new government was replaced with concerns over the poor state of the Brazilian economy. The banks sector fell as the country’s finance minister nominated his candidate to head up Brazil’s central bank. Investors believe interest rates could be cut later this year as inflation eases. Russia’s RTS dropped 3.1%, India’s Sensex declined 0.7% and Korea’s Kospi fell 1.0%—rounding off a fourth successive weekly loss—as emerging market currencies were hit by a strengthening dollar amid expectations for higher US interest rates. The MSCI China Index rose 0.6%, supported by a stable currency despite a flow of weaker economic reports, as April’s purchasing managers’ index, bank lending and trade data all missed expectations. Taiwan’s TAIEX rose 1.0% as president Tsai Ing-wen called for peaceful relations with China at her inauguration. South Africa’s JSE All Share was up 2.0% as a weak rand boosted mining stocks. Bonds sold off in the week, with the US underperforming following the unexpectedly hawkish minutes from the Federal Reserve’s (Fed’s) April meeting. The yield on the two-year Treasury note, which is particularly sensitive to shifts in perception of Fed policy, was up 13 basis points (bps) on the week to 0.88%, while the 10-year Treasury yield rose 13bps to 1.84%. As the global economy has been going through a phase of slowdown, markets have become increasingly jittery. Is a rebound in economic growth on the horizon that could improve global investor sentiment for a sustained period of time? A cyclical upswing in economic growth (including Europe and China) is likely to prevail soon in the next few quarters, as policymakers (especially central banks) have been doing their best to stimulate their economies. Whether the pick-up in growth will be sustained in the longer-term is difficult to tell at this point in time. To have greater clarity on growth prospects, Chinese GDP growth, monthly macro data in the US and the Fed’s Beige Book will be the ones to watch this week. Stock markets rose in the US during the week, albeit slowly: the S&P 500 gained 0.5%, while the Nasdaq Composite rose 0.6%. From a sectoral viewpoint, financials increased to the greatest extent, while health care lagged. The broad dollar index (DXY) edged down 0.4%, which reflected a broad-based weakness against several developed and emerging currencies. Treasury yields rose on the back of increasing inflation expectations, as the 2-year yield increased by 5bp to 2.39%, while the 10-year yield increased by 8bp to 2.57%, bringing the 2s10s spread to 17bp. Looking forward: The economic diary in the US is packed with relevant high-frequency macroeconomic indicators, such as industrial production, retail sales and Market PMI figures for manufacturing and services. The Fed will release its Beige Book during the week, which will grant granularity on the state of the US’ domestic economy. During the week, stock indices of the Eurozone’s four largest economies increased: the French index up by 1.4%, the Italian index up by 1.2%, the German index up by 0.7% and the Spanish index up by 0.3% (all in USD). Within the fixed income space, the German Bund curve shifted up and slightly steepened, as the 10-year German yield rose by 5bp to 0.06%. Following ECB President Draghi’s press conference, the market does not price any policy rate changes by the ECB for 2019 and expects a 10bp hike at the very end of 2020. The European Central Bank left the policy rates unchanged, i.e. the lending facility at 0% and the deposit facility at -0.4%. During the post-decision press conference, the President emphasised that the ECB is highly unlikely to raise the policy rates throughout 2019 and stands ready to provide an appropriate amount of monetary stimulus to the Eurozone as long as necessary, e.g. through the sustenance of a negative ECB deposit rate, the initiation of the Targeted Longer-Term Refinancing Operations and the re-investment of coupon payments and maturing bonds in the ECB’s balance sheet. Looking forward: The economic diary in Europe is lightly packed for the week. In the Eurozone, the final March inflation figures will be revealed, and later both manufacturing and services PMI figures will be released for April. In the UK, investors will mainly focus on the monthly jobs report, various inflation metrics and retail sales statistics. Most of the Asian stock markets had a challenging week. The Bangladeshi market (-2.4% in USD), Chinese “A” shares (-1.6% in USD) and the Malaysian stock index (-1.3% in USD) lagged their regional peers. In contrast, the Thai (+1.3% in USD), South Korean (+0.9% in USD) and Philippine (+0.9% in USD) markets delivered the strongest performance in the Asian space. Chinese macroeconomic data showed that domestic growth in the world’s second largest economy has stabilised and is on the brink of an upward cyclical bounce. According to the March money supply statistics, M2 growth rose by 0.6ppt to 8.6% YoY, as corporate demand for credit increased. Furthermore, export growth hit 14.2% YoY in March, while imports contracted 7.6% YoY – bringing the 12-month rolling trade surplus to USD 382.6bn. Meanwhile, CPI inflation accelerated to 2.3% YoY in March on the back of rising pork prices, as the supply of swine meat is constrained by the African Swine Flu. PPI inflation remained depressed, at 0.4% YoY in March. Further macroeconomic data will be released this week, which could further strengthen the case that a cyclical rebound is on the short-term horizon. Headline CPI inflation in India rose to 2.9% YoY in March, as food deflation returned to inflation of 0.7% YoY. Food inflation was mainly pushed up by the rising inflation of meat and fish prices and the softening deflation of fruit prices. Excluding the impact of food price inflation, underlying inflationary pressures eased, according to our in-house estimate. Looking forward: China is set to release its usual broad set of monthly macroeconomic indicators, including fixed asset investments, industrial production and retail sales. But, most importantly, we are going to see how the Chinese economy performed in 1Q19, as GDP metrics will be published as well. Furthermore, Indonesia, India and Sri Lanka will reveal their respective foreign trade data. Later, the South Korean central bank announces its decision on the policy rate. Latin American stock markets delivered a mixed performance during the week. The Mexican (+1% in USD), Colombian (+0.5% in USD) and Chilean (+0.3% in USD) benchmarks rose, while the Peruvian (-1.2% in USD) and Brazilian (-4.5% in USD) markets underdelivered. Brazilian President Bolsonaro sent a new central bank autonomy bill to Congress. The proposal establishes a fixed tenure for the governor and deputy governors, not coincident with the presidential term. The Peruvian central bank kept the policy interest rate at 2.75%, as the MPC cited that economic growth remained below its potential. As economic slack is yet to fully subside and inflation remains at bay, the MPC is likely to keep the policy rate stable for a prolonged period. Industrial production in Mexico fell 0.8% YoY in February, as output by the mining sector continued to sharply contract. Although manufacturing activity increased in an annual comparison, the rate of expansion markedly slowed. The central bank of Mexico published the minutes of March’s meeting, the policy rate was unchanged at 8.25%. As opposed to the majority of the MPC members, the deputy governor considered that the recent evolution of several inflation indicators and the looser Fed’s stance opened up space for a more neutral tone. However, most MPC members expressed their concern about the persistence in core inflation. The key takeaway from the minutes is that the MPC has probably shifted to a more data dependent approach, i.e. should inflation persistently surprise to the downside, the MPC might consider easing monetary conditions in the backend of 2019 given the external backdrop remains supportive. Economic activity indicators in Colombia were solid in February, as retail sales growth hit 5.7% YoY and manufacturing output grew 2.8% YoY. Looking forward: The Latin American economic diary is relatively empty this week. Peru and Brazil are going to publish their respective monthly economic activity index. In addition, the Chilean central bank is set to release the minutes from its last rate-setting meeting. Furthermore, the Brazilian government will send the budgetary guidelines law (LDO) for 2020 on Monday, while the Lower House’s Constitutional Committee (CCJ) may conclude the voting on the pension reform draft during the week. The majority of African stock markets performed well during the week. The benchmark index of the continent’s largest economy outperformed its regional peers, as the index rose 2.2% in USD. The South African index was followed by the Kenyan (+2% in USD). In contrast, the Egyptian (-0.7% in USD) and the Ghanaian (-1.8% in USD) performed poorly. Business confidence in South Africa decreased to 91.8 in March, to a 7-month low. The ease of business conduct in the country has become increasingly difficult due to the blackouts, as the state-owned power company, Eskom cannot meet the demand with its unreliable and outdated infrastructure. The South African central bank governor argued that the MPC had a very limited room to reduce the policy rate anytime soon unless inflation expectations got anchored appropriately. In addition, the governor implied that inflation might not be low enough on a forward-looking basis. The governor’s remarks should serve as confirmation for the market that no rate cuts are in the pipeline in the months ahead. Inflation in Egypt slowed by 0.2ppt to 14.2% YoY in March, as inflationary pressures stemming from fruits and vegetables eased. However, the fact that the government carries on with the reduction of fuel subsidies provided to consumers keeps headline inflation in the mid-teen’s range (temporarily). Meanwhile, core inflation – a measure that filters out the impact of fuel prices – decelerated by 0.3ppt to 7.9% YoY. Gradually slowing underlying inflationary pressures (captured by the core measure) suggest that the structural reforms have improved the inherent deficiencies of the Egyptian economy. Further steady structural improvement would allow the central bank to decrease the policy rate in the coming quarters. Ghana’s inflation rate accelerated by 0.2ppt to 9.3% YoY in March, remaining inside the central bank’s target band of 6-10%. After cutting in January, the central bank of Ghana warned at its March interest-rate announcement that it could tighten policy if inflation risks from a weaker currency materialize. The moderate uptick in inflation is unlikely to make the central bank change course and start increasing rates again. Looking forward: Egypt is scheduled to release 4Q18 GDP data this week. Later, Nigeria, Morocco and South Africa will reveal their respective inflation metrics for March. Austen Morris Associates is pleased to announce that Warwick Hamilton has joined our team in Johannesburg South Africa, as Senior Consultant. Warwick‘s career spans a diverse and expansive level of achievement and experience. He spent 25 years in the service industry both in South Africa and abroad, where he held positions in operations as well as sales. These roles provided him with exceptional communication skills and provided great insight into different personalities and cultures. 8 years ago he joined the Financial Services sector, during this time he has been the recipient of many awards and has proven to be one of the top Consultants in Africa. This vast personal and professional experience has made him a diverse and well-rounded Consultant, enabling him to cultivate long term relationships with an array of different clientele, building trust and maintaining strong business relationships. Warwick holds qualifications from the Chartered Institute for Securities & Investments as well as the certification in regulatory examinations from the Financial Sector Conduct Authority, ensuring his clients are provided with specifically tailored advice. Warwick‘s board-level expertise exemplifies our 80/20 hiring approach, whereby we only hire the top 20% of professionals in our industry. Welcome to the team Warwick, we look forward to working with you. Austen Morris Associates is pleased to announce that Ben Nevin has joined our team in Johannesburg South Africa, as a Senior Consultant. Ben has been working in the high-net-worth wealth management sector for the past four years. During this time he has held a series of accolades and senior positions and had the privilege of learning from some of the industry’s leading professionals, Ben attributes much of his success to his hard-working nature, embodying the quote “The harder you work, the harder it is to fail”. Ben holds a Law Degree obtained through the University of South Africa, with a specialized focus on financial and banking regulation, a necessary skill set in regulated territories like South Africa, he subsequently completed a number of financial certifications FFR – Foundations of Financial Risk, HCWM – Higher Certificate in Wealth Management, ensuring that he continually grows his knowledge base and provides his clients with the best possible advice. Ben carries the core values of honesty, integrity, loyalty and mutual respect into all areas of his life, this strength of character and hard work ethic, exemplifies our 80/20 hiring approach, whereby we only hire the top 20% of professionals in our industry. Welcome to the team Ben, we look forward to working with you. At Austen Morris Associates we pride ourselves in engaging with our clients and keeping them informed on the latest market updates and current affairs. In keeping with this tradition AMA Africa recently partnered with Vergenoegd Löw Wines and Discretionary Fund Managers, Quilter Cheviot to host 2 informative Investment Insight Sessions in South Africa. Our March Insight Sessions, a breakfast session held in Johannesburg, at the prestigious Bryanston Country Club as well as a lunch time session at Cape Town’s glorious Atlantic Imbizo, touched on the current situation surrounding BREXIT as well as looking at the value added by having the right Discretionary Fund Management. Keynote speaker for the events was Head of Research at Quilter Cheviot, Chris Beckett. Chris graduated with an Honours Degree in Managerial Studies from Aston University in 1992, after gaining experience in the Financial Services Industry he chose to further his studies and completed a Master’s degree in International Securities, Investment and Banking from the ICMA Centre at Reading University. As Head of Research at Quilter Cheviot, he currently has analytical responsibility for the beverages, food, tobacco and retail industries, making him a very diverse and well-rounded analyst and the ideal speaker for our Insight Sessions. Chris provided our guests with invaluable insight into the current state of the Global Equities Market, highlighting the methodology that his team of analysts employs when making discretionary fund decisions. The second talking point of these sessions was closely examining the current state of affairs surrounding BREXIT. Chris engaged our attendees by analyzing and discussing the possible implications that different BREXIT outcomes could potentially have on the economy. Our gracious sponsors Vergenoegd Löw Wines provided a premium selection of their award winning wines for our events, ranging from their current limited edition Adam & Eve range, to the elegant Little Flower Sparkling Brut, their organic Runner Duck Rosé as well as a selection of their 4 star Estate Blend and their ever enchanting rich Merlot. Our guests thoroughly enjoyed both of these events and we look forward to hosting more Investment Insight Sessions for our clients and prospective clients this year. Join us on Tuesday 16th April from 7 pm at Austen Morris Associates, Shanghai. This month’s topic is Equities…where next? Are you currently invested in stocks and shares that carry no fixed interest? We take a look at what the key considerations should be for investors looking for long-term returns, where to look for the best growth opportunities, along with an investment outlook for the rest of 2019. The presentation begins at 7:30 pm. The Cape Town Cycle Tour, more commonly referred to as the Cape Argus is an annual cycle race hosted in Cape Town, South Africa. The course is 109 km long and takes riders past some of the most beautiful scenery in the world, including the 7th wonder of the world Table Mountain. With as many as 35 000 cyclists taking part, the Cape Town Cycle tour is the world’s largest individually timed cycle race. It is the first event outside Europe to be included in the Union Cycliste Internationale’s Golden Bike Series. 2019 saw the 41st running of this world-famous cycling tour, it truly was a celebration of all things cycling, highlighting the healthy lifestyle and freedom of movement the humble bicycle offers all its inhabitants and visitors. This year AMA Africa decided to get involved in this ever growing event by sponsoring cycling jerseys for one of our Senior Consultants, Leith Anticevich and his team of riders. On the morning of Sunday 9 March 2019, Leith took to the road for his first participation in this spectacular race. Persevering through the howling winds clocked at 27m/ph, as well as a strained muscle – an injury he obtained just before the Suikerbossie climb – true to form Leith powered through the pain and managed to complete the race. Unfortunately the injury took him out of the running for achieving his personal time goal, but we are sure that next year he will reach his goal. We wish him and his team luck as they start preparing for The Standard Bank Iron Man 70.3 in Durban this June. One of the obstacles hindering further improvement in global market sentiment is the trade dispute between the US and China. Finally, more constructive headlines were released citing that the two countries have finally found some common ground, which ultimately could lead to a consensus in the coming few months. President Trump talked up prospects for a ‘monumental’ agreement, while refraining from providing granularity or evidence. Drafts of the agreement being crafted would give Beijing until 2025 to meet commitments on commodity purchases and allow American companies to wholly own enterprises in the Asian nation, according to people familiar with the talks. Global investor sentiment could surely benefit from some good news. Most of the major stock indices in the US gained: the S&P 500 gained 2.1%, while the Nasdaq Composite rose 2.7%. Meanwhile, the broad USD index (DXY) was broadly flat on the week, bringing the dollar’s year-to-date increase to 1.3%. As the jobs report in the US among other global macroeconomic data were convincingly strong. The Treasury curve shifted upwards, and as a result the 2-year yield rose by 8bp to 2.33% and the 10-year to 2.49%. Although the pricing of the Fed futures still implies a rate cut, the degree of such move has softened. Both forward-looking (ISM indices) and backward-looking (jobs report) indicators imply that the domestic US economy remained strong in March. Looking forward: The economic diary in the US is not too busy for the week, as it contains only a limited number of relevant releases, such as the CPI and PPI inflation figures from March. On Wednesday, the Fed releases the minutes from the last monetary policy meeting, which could provide markets further guidance on the outlook for interest rates. European stock markets enjoyed a more constructive investor sentiment, as most of the stock indices considerably gained during the week: Germany by 4.1%, Spain by 2.9%, France by 2.3% and Italy by 2.2% (all in USD). Meanwhile, the euro was flat vs. the USD and the German Bund curve shifted upwards and steepened: the 2-year yield rose by 3bp to 0.57% and the 10-year increase by 8bp to 0.01% by the end of the week. Looking forward: European investors will have a busy week with an Emergency Summit on Brexit on Wednesday and an ECB decision on Thursday. Furthermore, the UK will release various high-frequency macroeconomic data, including the monthly GDP figure for February. Investor sentiment in the Asian space was supportive, as the majority of the broad stock indices rose. Chinese “A” shares (+5% in USD) and the South Korean stock market (+3.7% in USD) outperformed their Asian peers. In contrast, the Pakistani (-3.4% in USD) and the Bangladeshi (-1% in USD) delivered an underwhelming performance. The Reserve Bank of India (RBI) cut the policy rate by 25bp to 6% in line with expectations. This was the second consecutive time, when the RBI slashed the headline policy interest rate. MPC members agreed that economic growth needed to be stimulated in the context of a benign inflationary environment. The central bank revised down its real GDP growth forecast by 0.2ppt to 7.2% for FY2019-20. Furthermore, the central bank’s inflation forecast was reduced too, as the projection for headline CPI inflation was brought down to 2.9-3% in FY1H19-20 and to 3.5-3.8% in FY2H19-20. Consumer price inflation in the Philippines slowed to 3.3% YoY in March, bringing the average for 1Q19 to 3.8% YoY – below the upper bound of the central bank’s inflation target of 2-4%. The deceleration was mainly due to a high base for comparison and easing food price pressures. Inflation in South Korea unexpectedly slowed to 0.4% YoY in March (vs.0.5% YoY in February). Meanwhile, the core gauge was stable at 0.9% YoY. The headline inflation measure was dragged down by vegetable and transport prices. Services inflation (which captures inflationary pressures generated by domestic demand) remained muted at 1.1% YoY. According to the central bank governor’s latest statement, the MPC acknowledged that softening inflationary dynamics. The governor argued that there is no room for any rate cut, as the MPC has to safeguard financial stability by preventing a build-up of imbalances. CPI inflation in Thailand rose to 1.2% YoY in March, while core inflation hovered at 0.6% YoY. The headline gauge was mainly driven higher by non-core items, such as fruit and vegetable prices as well as by energy prices. According to the governor of the Indonesian central bank, the policy rate will most likely be kept stable, as the MPC will opt for macroprudential tools to support economic growth. Vietnam’s sovereign credit rating was raised by S&P from ‘BB-’ to ‘BB‘ citing continued improvements in the government’s institutional settings, which help to support consistently strong economic growth. Looking forward: All eyes are on China, who is set to release a wide set of macroeconomic indicators including CPI and PPI inflation as well as foreign trade data. India is also scheduled to publish inflation metrics, which could serve as guidance for future monetary policy measures. Furthermore, the Sri Lankan central bank is expected to keep the policy rate stable. The majority of stock indices headed north during the week in Latin America. Mexico led the pack, as the country’s stock index gained 6% in USD, followed by Brazil (+2.5% in USD) and Colombia (+2.4% in USD). The debate on the pension reform bill in Brazil has proved to be noisy so far, but the process itself has remained on track. According to various local sources, opposition parties have been preparing amendments to the bill that could somewhat water down the cumulative savings in the future. During the week, President Bolsonaro met with six parties to discuss the pension reform and will meet other parties as well to secure their support. It is important to note that the President has been making efforts to find a consensus among the government coalition and opposition parties to smooth the process as much as possible. Economic activity in Chile underdelivered relative to previous months, as the official GDP proxy grew only by 1.4% YoY in February. The unexpectedly weak performance was due to mining activity, which decreased by 7.8% YoY. Non-mining economic activity delivered a solid performance again, as it expanded by 2.4% YoY. Credit rating agency Fitch commented on Colombia’s new, higher fiscal targets for 2019 and 2020, 2.7% of GDP and 2.3% of GDP, respectively. According to Fitch, the changes to the fiscal rule could hurt the credibility of Colombia’s non-governmental Fiscal Committee. The agency cited that the country may need further fiscal reforms in the future. Mexico’s fiscal targets in the Preliminary Economic Policy Guidelines (PEPG) fiscal targets for 2019 and 2020 were unchanged at 1% and 2% of GDP, respectively, compared with the approved budget for 2019, while GDP growth forecast and oil production projection were revised down. The official Argentine GDP proxy index expanded by 0.6% MoM in seasonally adjusted terms in January. In spite of the fact that economic output stagnated in a monthly comparison, economic activity contracted in an annual comparison, by 5.7%. With the exception of agriculture, most of the industries performed weakly. Looking forward: This week kicks off with the release of the Peruvian inflation gauge and carries on with manufacturing PMI indices from Brazil, Colombia and Mexico. Mexico is also set to release plenty of macroeconomic data, such as inflation, industrial production and the minutes from the last monetary policy meeting. Later, the Colombian central bank will release the minutes of the last rate-setting meeting. In the second half of the week, a wide range of monthly economic activity indicators are revealed. Most of the African stock indices gained during the week with the exception being Nigeria, whose market lost 4.8% of its value in USD. South Africa delivered one of the largest gains during the week, as the country’s benchmark index rose 4.9% in USD, followed by Egypt (+2.9% in USD). Current account deficit in Egypt was USD 2.1bn in 4Q18. As a result, the deficit widened by 0.3bn YoY to USD 3.9bn in 2H18 (or first half FY2018-19 ending in June 2019). The wider current account deficit was a result of the decline in remittances (-6.8% YoY) and the increase in the value of non-oil imports (+11.5% YoY), despite the rising transportation revenues (+3% YoY) and surging tourism revenues (+36.4% YoY). Meanwhile, net FDI inflows slowed USD 2.8bn in 2H18. The fact that the current account deficit widened only by USD 0.3bn compared to the same period in the previous year shows the country is now on a more stable and more sustainable footing than before it joined the IMF’s programme. Real GDP growth in Kenya could growth 6.3% in 2019, according to the President of the country. The President’s statement imply that the government expects faster growth than in the previous year, when real GDP expanded 6.1%. The government’s projection is not meaningfully higher than the market consensus for real GDP growth in 2019, which has been hovering around 5.8%. The Moody’s released a statement on Tuesday, in which the credit rating agency cited that South Africa remains investment grade, rated Baa3 (the lowest investment grade rating) with ‘stable’ outlook. The PMI in South Africa fell for the third consecutive month in March, to 45, significantly below the 50-point threshold, which separates contraction from expansion. Business sentiment has been deteriorating in South Africa, due to the increasing number and length of power outages, due to the capacity constraints and financial struggles of Eskom, a state-run utility company. According to the minister for Public Enterprises, the government had been discussing a bailout package for the company. Looking forward: The African economic diary for the week is quite empty, as only South Africa (business confidence and industrial production) and Egypt (CPI inflation) have scheduled releases for the week. The S&P rose by 1.2%, led by industrials (2.85%) and materials (2.04%). Utilities (-0.51%) were the biggest detractor. The U.S. current account deficit in 4Q18 was larger than expected, rising 6.1% to $134.4bn. This was the largest current account deficit since the fourth quarter of 2008. U.S. firms repatriated a record amount of foreign earnings last year following the Republican tax overhaul. The current-account deficit was 2.6% of GDP in the fourth quarter, the highest level since 2012. Looking forward: This week is filled with key data releases from retail sales, unemployment and non-farm payroll data. Most developed market European indices rose slightly during the week. Turkey (-4%) and Sweden (-1.51%) were the largest detractors. German inflation data for March was weaker than expected with consumer prices rising by 1.4% YoY. Consumer prices undershot the consensus forecast of 1.6% and was driven by weaker services and food costs. Earlier this month, the ECB delayed plans to normalise policy and delayed a rate increase until next year. Eurozone corporate lending growth rebounded in February, expanding 3.7% YoY. The loan growth data came as a relief, easing fears that banks were stopping credit lending to corporates amongst the growth slowdown. Growth in consumer borrowing also picked up modestly to 3.3% YoY, which suggests that consumer confidence remains intact. Looking forward: UK PMI and European inflation data will be released. Asian markets fared well last week, as the majority of the broad stock indices gained in USD terms. The Philippine stock market was one of the best performers rising 2.8% in USD, followed by Chinese “A” shares (+2.7% in USD) and the Taiwanese market (+1.9% in USD). Most Asian markets fell over the week. MSCI Asia Pacific ex. Japan index fell 0.11% in USD, Chinese ‘A’ shares -0.34% in USD, Hong Kong -0.24% in USD and Vietnam -0.87% in USD. Sri Lanka and India were the exceptions, rising 1.77% and 1.3% in USD respectively. Thailand’s industrial production data undershot estimates, falling 1.6% YoY. Despite the weaker production data, export growth was robust in February and the Thai Baht remained stable amid the political noise following Sunday’s general election. India’s current account deficit widened to 2.5% of GDP in Q3 of the current fiscal year, this compares with the 2.1% deficit a year ago. ‘The widening of the CAD on a year-on-year basis was primarily on account of a ‘higher trade deficit at $49.5bn as compared with $44.0bn a year ago’ the Reserve Bank of India (RBI) said in a statement. Hong Kong’s exports fell 6.9% YOY in February. Combining January and February figures to remove the effect from the difference in timing of the Lunar New Year holidays, exports decreased by 3.1% YoY. The downward product cycle of electronic parts and trade tensions were significant factors. China’s final current account surplus for 2018 came in at $49.1bn, equivalent to 0.4 percent of GDP. China had a final current account surplus of $54.6bn in Q4. Chinese manufacturing companies’ profits in January and February declined 14% YoY for the same period. Tax reductions are expected to provide relief amid the weaker global demand environment. Vietnam’s Q1 GPD grew 6.79%, which is a slower pace than the 7.45% GDP growth in Q1 last year. This was largely due to weakening global demand for smartphones, leading to a 4.3% YoY decline in smartphone exports. Total exports grew 4.7% YoY, which was significantly slower than the 24.5% expansion in Q1 last year. Vietnam’s consumer price index in March rose 2.7% YoY, driven by an increase in the cost of education services and food. Pakistan’s Central Bank raised its policy rate by 50pbs to 10.75%. Pakistan’s central bank highlighted that ‘underlying inflationary pressures continue, the fiscal deficit is elevated, and despite an improvement, the current account deficit is still high’. Consumer price inflation accelerated to 8.2% in February, the highest annual increase since June 2014. Looking forward: There are a myriad of releases this week including; Hong Kong retail sales data, Korea trade data, Japan manufacturing PMI, Indonesia inflation and India’s RBI interest rate decision. Latin American stock markets delivered a mixed performance during the week. While the Brazilian and Chilean benchmark indices rose 1.8% and 1% respectively, the Peruvian index went sideways, and the Colombian index declined 1.8% (all in USD). The Mexican central bank held the policy rate at 8.25% and retained its hawkish tone. Although the MPC acknowledged that the international backdrop became more supportive, members (implicitly) argued for the sustenance of their hawkish stance. The MPC cited that there were upside risks to inflation and added that the persistence in core inflation needed further monitoring. In addition, the MPC pointed out that risks related to the credit rating of sovereign debt and Pemex also call for a cautious approach by the central bank. The Chilean central bank held the policy rate at 3% in a unanimous decision. The MPC highlighted the recent economic activity data had confirmed its view that non-mining activity would convincingly firm. However, inflation remained surprisingly low, due to a greater degree of economic slack than previously estimated. Unemployment rate in Colombia rose to 11.8% in February, one percentage point higher than a year ago. The rise in the headline jobless figure is mostly explained by seasonal patterns. In addition, the fact the labour force participation rose sharply, by 0.5ppt to 64.1%, also explains a significant portion of the increase in the unemployment rate. Overall, rising unemployment rate does not imply that there is a structural underlying weakness in the Colombian economy, as it is explained by seasonality and an expanding active pool of labour. Looking forward: This week kicks off with the release of the Peruvian inflation gauge and carries on with manufacturing PMI indices from Brazil, Colombia and Mexico. Later, the Colombian central bank will release the minutes of the last rate-setting meeting. In the second half of the week, a wide range of monthly economic activity indicators are revealed. African indices rose last week, led by South Africa (1.42% in USD). Ghana and Kenya were the biggest detractors, falling 5.46% and 1.51% in USD respectively. The Central Bank of Egypt kept its key interest rates on hold; overnight deposit and lending rates at 15.8% and 16.8%, respectively, citing accelerating inflation in February, weakening global economic activity, and increases in oil prices for its decision to keep rates on hold. The decision goes against market expectations of as much as 100bps rates cut driven by improving fundamentals, the need to reduce cost of borrowing to boost capital investment and a supportive US Federal Reserve’s monetary policy stance. The CBE will likely maintain policy rates until a possible spike in inflation from Ramadan and the next round of subsidy phases out by 4Q19. Moody’s kept South Africa’s credit rating at investment grade and its outlook at stable. This provides a welcome reprieve, allowing the country to keep its spot in the World Government Bond Index and remain in the Citigroup World Bond Index and provides a window for the ruling party to get its fiscal house in order. South African central bank kept its benchmark repo rate unchanged at 6.7% in a unanimous decision saying it assessed the risks to the inflation outlook to be more or less balanced. The decision was in line with market expectations. Nigeria’s central bank in a surprise move, cut its benchmark interest rate to 13.5% from 14.0% as part of an attempt to stimulate growth in Africa’s biggest economy after four consecutive years of declining GDP per capita. Given the weak transmission of MPR as a tool to influence the Nigeria economy, the impact of the rate cut on growth is likely to be limited. The Central Bank Governor acknowledged this in an investor meeting last week, noting that monetary policy remains tight and the rate cut is simply a signal that under the right environment, the MPC will look at money supply and liquidity to push growth. Kenya’s inflation rose to 4.4% YOY in March from to 4.1% a month earlier, due to rising food prices. On a MOM basis, inflation was 1.6%. Today we recognise consultant, Chad Goddard, for his 1 year work anniversary with Austen Morris Associates. Thank you for your dedication and commitment to the team Chad, we look forward to many more celebrations with you! From Greg, James and the entire team at AMA congratulations! Today we recognise consultant, Leith Anticevich, for his 1 year work anniversary with Austen Morris Associates. Thank you for your dedication and commitment to the team Leith, we look forward to many more celebrations with you! From Greg, James and the entire team at AMA congratulations! Congratulations on this milestone Keith, we thank you for your continued loyalty, commitment and support over the years. From Greg, James & the entire AMA team, congratulations and well done, we look forward to many more celebrations with you! Although the 3M-10Y steepness gauge turned to negative during the week due to macro data releases, other measures that capture the steepness of the yield curve remain “normal,” i.e. not signalling an upcoming recession. Nevertheless, the US stock market focused on the bearish aspects of the yield curve and consequently many of the major stock indices performed poorly, i.e. the Nasdaq Composite decreased 0.6%, the S&P500 declined 0.8%, while the Russell 2000 lost 3.1% of its value. By the end of the week, Fed funds futures massively repriced and now imply a 25bp rate cut for 4Q19 and on top of that a 25bp cut in 2020. The Fed is going to be patient, according to Chair Powell, and thus shifted to a wait-and-see stance in the context of a jittery investor sentiment, as the Treasury market increasingly expects a sharp slowdown in economic activity. Chair Powell presented the updated “dot plot,” which now expects no rate changes throughout 2019 (vs. two 25bp hikes in the previous version). It was also confirmed that the balance sheet run-down will slow from May and end in September. The Fed’s approach to monetary policy should persuade markets that the FOMC is willing to err on the side of being “too dovish” and let inflation exceed the target to make sure that underlying economic growth remains unhurt. Having said that, should tight labour market conditions persist throughout 2019 and translate into faster inflation, while real GDP growth is decent, the FOMC will probably raise the Fed funds rate to prevent the build-up of unwanted excesses. Looking forward: The release of the final 4Q18 GDP data, the January PCE inflation figure and 4Q18 current account statistics will provide guidance to markets on the state of the US’ economy. Furthermore, high-level trade talks between the US and China will continue, as US Treasury Secretary Mnuchin travels to China with the aim to reach an agreement by April. European stock markets had an awful week, as macroeconomic data in the Euro Area disappointed, proving that economic growth is frailer than most expected. As a result, the German stock index declined by 3% in USD terms, followed by the French (-2.7% in USD) and the Spanish (-1.7% in USD), while the Italian benchmark went sideways (in USD). The fixed income market in the Euro Area was driven by the same idea: the fear of a recession. Consequently, the 10-year German Bund plummeted by 10bp to -0.02%. Business sentiment in the Euro Area has been sharply deteriorating. The German manufacturing PMI underwhelmed all expectations, as the index dropped to 47.6 suggesting a considerable contracting in industrial output in the next few months. March was the third consecutive month when the German manufacturing PMI was below 50. Meanwhile in France, not only the PMI gauge for manufacturing, but also the one for services declined below 50. Looking forward: The Euro Area’s aggregate economic diary does not contain any relevant macro data release for the week. Germany will reveal inflation metrics, while the UK will publish GDP and current account statistics. The Thai central bank kept the policy rate stable at 1.75%. The decision was unanimous. MPC members agreed that real GDP will grow around its potential, as domestic demand continues to firm. The Thai central bank foresees real GDP growth at 3.8% in 2019 and at 3.9% in 2020. According to the central bank’s forecast, inflation could hover around or marginally above 1% both this and next year. The Taiwanese central bank held the policy rate at 1.375%. The MPC maintained its accommodating stance given the benign inflationary environment and negative output gap. According to the central bank, Taiwanese real GDP may expand by 2.1% in 2019. The Indonesian central bank left the policy rate unchanged at 6% for the fourth consecutive month, citing an uncertain external environment. The MPC emphasised that lending activity has become sub-optimal. The Philippine central bank maintained the policy rate at 4.75%. The MPC cited that upside inflation risks have dissipated, implying that rate hikes are very unlikely. Although the new Governor strongly hinted that the central bank could start an easing cycle before the official monetary policy meeting, the MPC as a whole refrained from indicating a preference for dovishness in the short-term. Should inflation fall below 3% and remain sub-3% for a prolonged period, the MPC will likely embark on an easing cycle. However, this scenario has a relatively low probability at the moment. 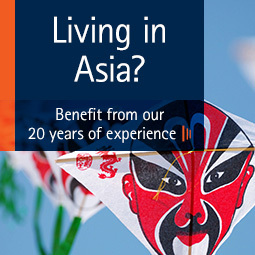 Looking forward: The Asian economic diary is filled with exciting data releases for the week. China and India will release their respective 4Q18 current account statistics, while Vietnam is set to publish a wide range of macroeconomic metrics. In addition, foreign trade data will be reported by Thailand and Sri Lanka. At the end of the week, the Pakistani central bank decides on the appropriate level of policy interest rate. Investor sentiment in Latin American stock markets was gloomy, which was captured by the MSCI EM Latin America index decreasing 4.8% in USD. The Brazilian market was down by 7.3% in USD, followed by the Chilean index (-3.6% in USD). In contrast, the Colombian and Mexican markets rose by 0.6% and 0.8% in USD, respectively. Brazilian President Bolsonaro revealed the granular details of the Military Pension Reform complementing the ordinary Pension Reform bill. If the bill is passed in its current form, it will mean an additional BRL 10.3bn in savings per year over the next 10 years. Overall, the whole Pension Reform is set to save about BRL 1.1tn over 10 years’ time unless the measures in the bill are diluted by the Congress during the debate. The Brazilian central bank kept the policy rate stable at 6.5%. The central bank foresees inflation in the range between 3.9-4.1% YoY at the end of 2019, i.e. around the mid-point of the inflation target. The tone of the MPC’s message was broadly neutral, citing data dependency for future rate decisions. Domestic demand growth in Mexico decelerated to 0.8% YoY in 4Q18. In addition, exports growth lost momentum as well. Headline GDP growth slowed to 1.7% YoY in the last quarter of 2018, while full-year growth amounted to 2%. Meanwhile, inflation in Mexico was 4% YoY in the first two weeks of March, while the core gauge was 3.5% YoY. The degree and persistence of disinflation in 1Q19 was greater than expectations; primarily due to non-core inflationary developments, while core inflation has proven to be somewhat stickier. Real GDP growth in Chile was 3.6% YoY in 4Q18, supported by both mining and non-mining sectors. In full-year 2018, the Chilean economy expanded by 4% on the back of the recovery of domestic demand (i.e. investments and household spending). The Colombian central bank kept the policy rate at 4.25%. The decision was unanimous and MPC members hinted that the policy rate is likely to be kept stable in the coming months. According to the central bank’s assessment, the negative output gap has been closing, as GDP growth has been strengthening, while inflation remained contained. Argentine real GDP fell sharply in 4Q18, as economic activity contracted by 6.2% YoY (-1.2% QoQ). In full-year 2018, real GDP declined by 2.5%. As GDP decreased in the last quarter of 2018, unemployment rose and hit 9.1%. Looking forward: The Latin American economic diary is fully loaded for the week, including a monetary policy decision by the central banks of Mexico and Chile. Furthermore, the central bank of Brazil will release the minutes from its last monetary policy meeting. Risk-averse market sentiment plagued African stock markets, as most of the benchmark indices declined. The Egyptian and Kenyan markets under performed their peers, as they decreased by 0.7% and 0.8% in USD, respectively. Retail sales in South Africa rose 1.2% YoY in January after a 1.6% YoY decline in the previous month. Meanwhile, inflation was 4.1% YoY in February, as food inflation remained steady. February was the third consecutive month when the headline CPI inflation gauge was below the mid-point of the central bank’s inflation target band (3-6%). Morocco’s central bank left its policy rate at 2.25% in the context of a dis-inflationary environment. The monetary authority foresees inflation to slow to 0.6% in 2019 from 1.9% in 2018. The Egyptian Finance Minister announced the official estimates for this financial year’s GDP growth and budget deficit target. The FinMin foresaw real GDP to grow 6.1% in FY2019-20 (July-June) and set the deficit target to 7.2% of GDP. Looking forward: Central banks take the centre of the stage in Africa this week, as the Nigerian, Kenyan, Moroccan, Egyptian and South African monetary authorities are scheduled to decide on their respective policy interest rates. 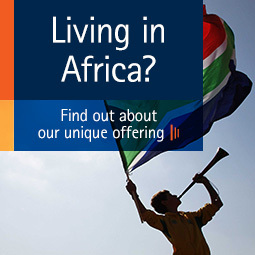 Later, Moody’s is set to deliver its rating review decision on South Africa on the 29th.